It is one of the most challenging procedures to do well especially in the multi-rooted back teeth. 1) Locating very fine entrances to the root canals –there are usually 3 or 4 which can be less than the width of a human hair. This is facilitated by use of magnification and enhanced lighting. For this procedure I use a 5 times magnification loupes coupled with powerful led light. 3) After this they each need to be shaped to form funnels to remove pulp tissue (NERVES) and infection and enable flushing away of the same. As these canals are fairly curved the procedure needs time , patience and perseverance. The recent technological advances in specialist equipment and materials in the form of flexible NITI files are a great help although very expensive to use. – they are single patient use only. 5) The next step is often to dress the canals with antiseptic dressing for about a week. -To ensure the removal of as many bugs as possible. 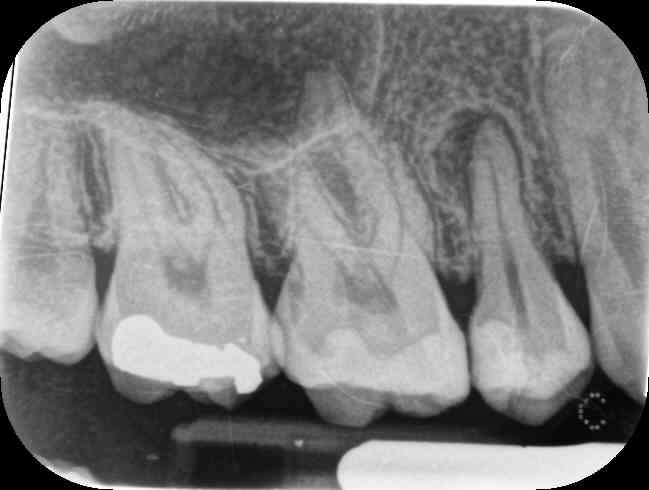 6) Once the tooth is settled, the canals need to be densely filled to their ends in order to block any dead spaces where bacteria could re-establish again in the future. Again the latest technological materials can do this well and thoroughly. These materials tend to be costly. It normally takes me 2 visits (sometimes more) of about 1 hour each for the above and I tend to get good results. The difference between a well done root-treatment and a poor one is often not immediately obvious to patients, as they usually judge results in the short term by absence of pain.. However a poorly done Root treatment is much more likely to blow up in the future. 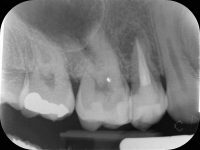 This can be devastating as the tooth may now need removal together with the crown or bridge associated normally with it. This is in addition to the pain/swelling and suffering the patient undergoes. Even if re Root–treatment is possible , the success rate is lower and all the superstructure is likely to need renewal if at all possible. It is well worth having the root treatment done well the first time round. For ideal result an experienced dentist with the expertise, equipment and materials and time is essential which is why many general dental practitioners refer out. Some of my results together with composite restorations on these these teeth also shown. 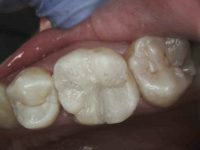 The protection and restoration on top of the root filled tooth is via freehand composite filling . 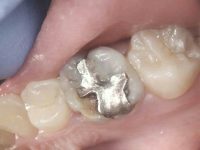 The large defective silver amalgam filling in the molar adjacent has also been restored similarly, saving patients hundreds of pounds compared to similar white onlay restorations that are usually provided via the technicians. This entry was posted in Blog on 14th February, 2017 by The Clocktower Dental Practice. Copyright © The Clocktower Dental Practice. All rights reserved.